An oracular utterance of ritual dark ambience materialized as a twofold split cassette album. This confluence reveals new material from Jhon Longshaw's BLACK SEAS OF INFINITY, after nearly five years since the project's last release, and the debut emergence of THE RED PATH from Colombian Edgar Kerval (EMME YA, THE RED ANGLE). "These passages shall awaken the reverie achieved through the unknown initiator. The three dissolved in to one, in to none, unveiling the hidden process of she who awakens the ekstasis of glory and pleasures beyond the realm of understanding. The mysteries of the via nocturna shall be unveiled, as the blood flows unto the sacred bones." 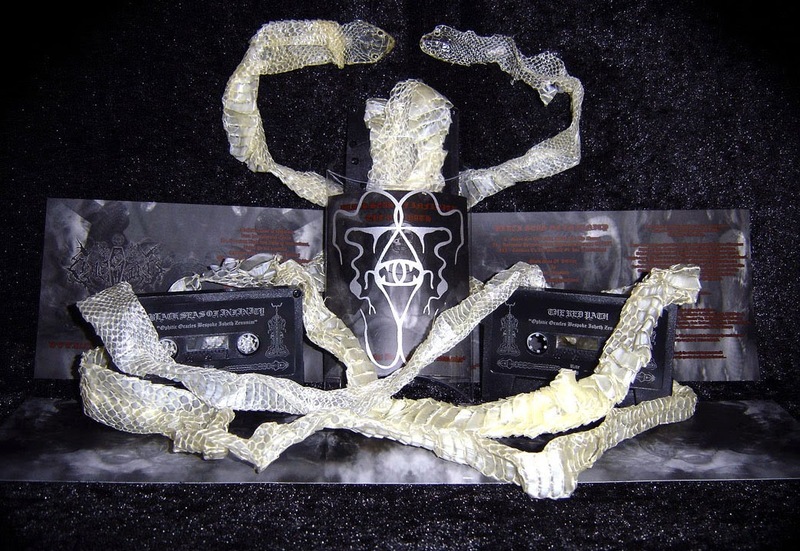 Each pro duplicated 60 minute Chrome Plus tape comes individually hand wrapped in a talismanic snake skin shedding, concealed by a pro printed 10 panel inlay, and encased within a clear plastic Dual Crescent Box embellished with a screen printed metallic silver sigil design. Limited edition of 100 totemic copies. 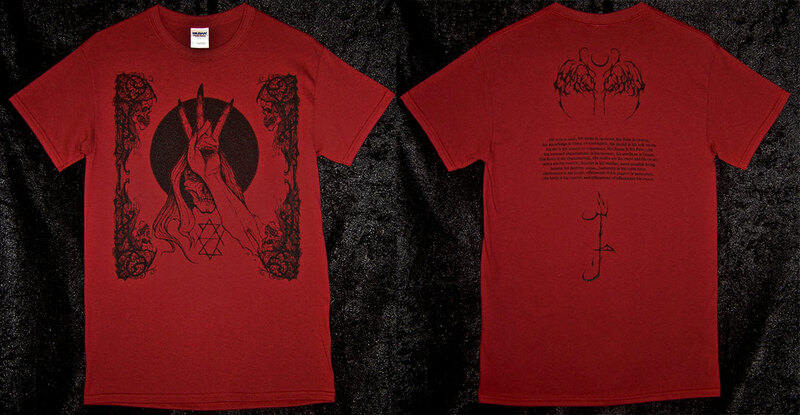 Cardinal Red Gildan Heavy Cotton T-Shirt printed with black ink on front and back. Sizes S - XXL. Artwork and design by Alabas and Naas Alcameth. Order through the Silcharde Records Store. 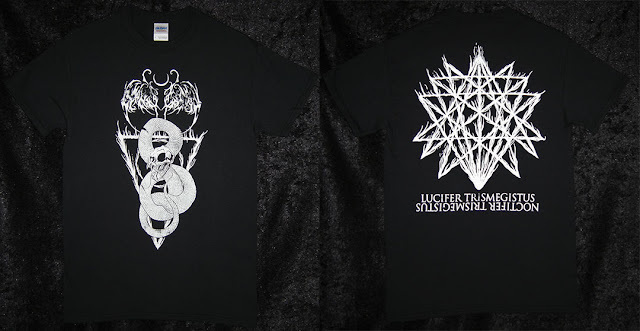 Black Gildan Heavy Cotton T-Shirt printed with white ink on front and back. Sizes S - XXL. Artwork and design by Cold Poison. 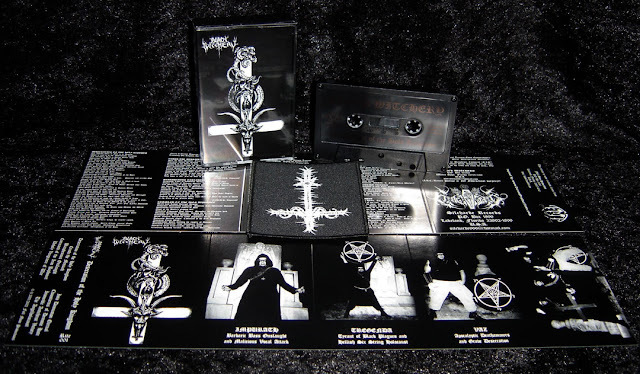 Sourced from the same audio master used for the vinyl, this tape reissue includes the previously vinyl exclusive bonus SARCÓFAGO and BLASPHEMY cover songs. *The bonus SARCÓFAGO and BLASPHEMY cover songs are not printed on the J-card cover track listing. The cursed second demo of Ritualizing Necromantic Death Metal Doom from 2004 finally sees release on completely pro cassette format. 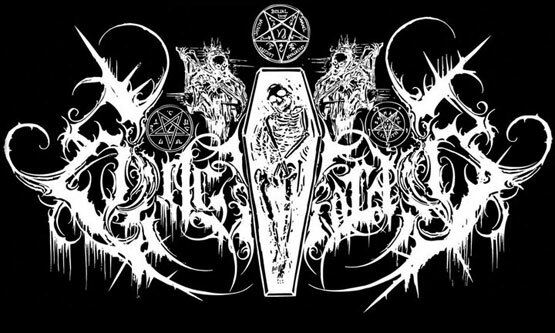 "Black Mass Desecration" features a crushing studio recording and includes two tracks in their original demo version that would later be re-recorded for the debut NECROS CHRISTOS album, "Triune Impurity Rites". Demo tape comes factory sealed and includes a pro printed cover and pro duplicated chrome grade tape with red tinted cassette shell. * Re-recorded on "Triune Impurity Rites". Heretical black opera forged in adverse esoteric and eschatological tradition. A marriage of cacophonous pandaimonic black metal and amorphic ritualistic death ambient. The gnosis of the Old Enemy espoused within the clamor of Apocalyptic Revelation. 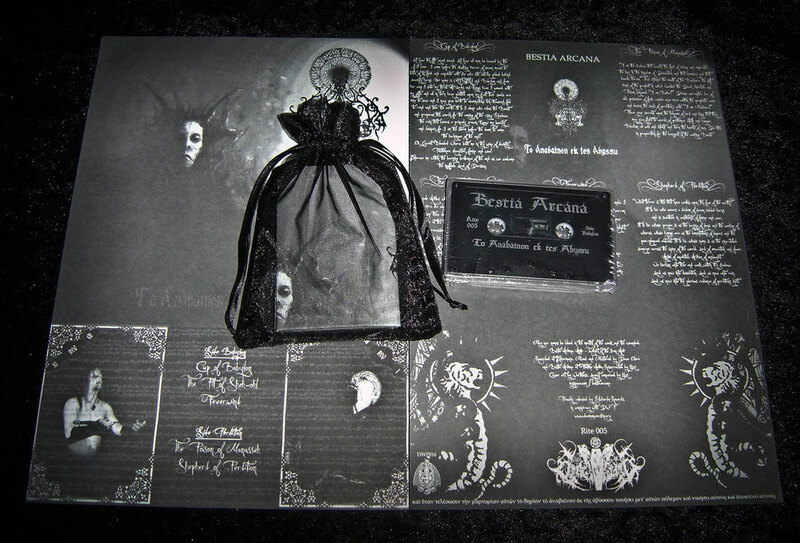 Cassette album includes a pro printed foldout cover and pro duplicated chrome grade tape with black cassette shell, all veiled within a sheer and velvet black pouch. Released in conspiracy with Daemon Worship Productions. *Cassette features an alternate track order than the DWP CD version. Subscribe to be informed of exclusive releases.